Truckfest shows are among the largest outdoor events in the UK, with eight different shows during 2019. Each show features exciting family entertainment, and you can make a full long weekend of them, by camping on site! Plus we have weekend camping tickets to giveaway for every show, so don't miss our competitions for a chance to win! 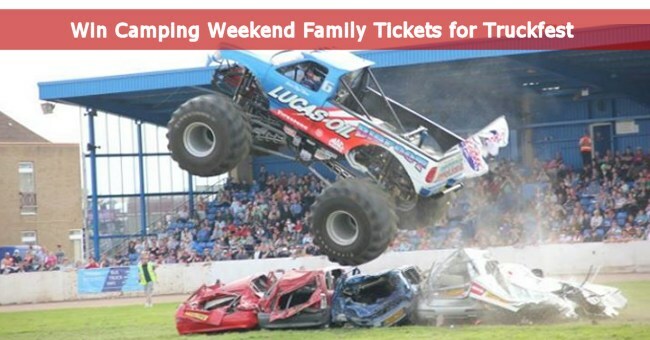 You can find out more about the Truckfest 2019 events from the Truckfest website where you can also book weekend or day tickets. We have teamed up with the show organisers and we have a weekends camping ticket up for grabs for each show. Each ticket will allow entry for two adults and two children for the entire weekend, with camping onsite. Don't worry, if you purchase your camping tickets now and find out you have won, you will be supplied with a full refund.